You can create new metrics or manage the visibility of metrics in Superset dashboards. 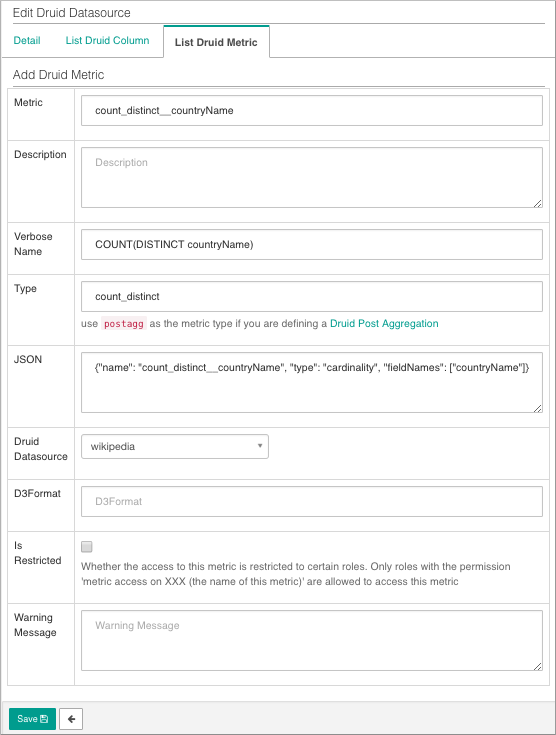 Using JSON, you can operate on dimension values at query time. You select Sources > Druid Data Sources > Edit record to view Druid columns. In List Druid Column, you can select Druid records for editing. In Edit Druid Data Source, the List Druid Column includes Groupable and Filterable controls. Filterable columns appear in dropdowns in the Explore view of a dashboard. You create new metrics by checking Count Distinct, Min, Max, or Sum. 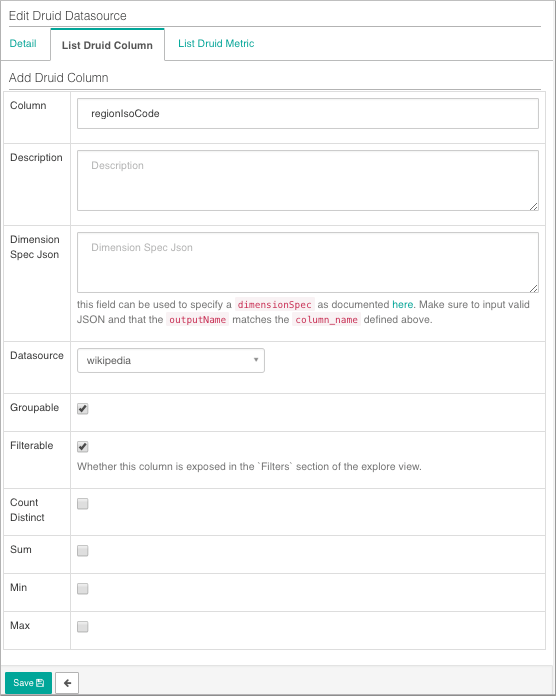 For more information about transforming dimension values using a query, click the link to Druid.io documentation below or in the Superset UI. In List Druid Metric, you can define a new metric or view the definition of an existing one. A post-aggregation occurs when you specify postagg as the metric type and provide the post-aggregation definition in JSON. For more information about post aggregations, click the link to Druid.io documentation below or in the Superset UI.